Hello gentle readers, and welcome to the SwitchArcade Round-Up for January 24th, 2019. Today is mostly about going through all of the new releases, but we’ve got some interesting news to look at as well, including word of some very exciting upcoming releases. There isn’t much going on in terms of new sales, but hey, we’ve got lots to feast on already, don’t we? Let’s get into it! Honestly, I wasn’t expecting much out of this presentation. It seemed like it was something just being done by Nintendo of Europe, so I thought it wasn’t going to have much in the way of big news. Well, I was definitely wrong. We got some surprise releases like Goat Simulator: The GOATY, When Ski Lifts Go Wrong, and Unruly Heroes. We got release dates for announced games like WarGroove. Then there were games we didn’t even know about before, like the SteamWorld RPG titled SteamWorld Quest: Hand of Gilgamech and a Switch port of the amazing CrossCode. Anyway, check out the video above and feast your eyes on the cool stuff coming. Okay, so this was one of the surprise releases yesterday. It’s a weird physics-based construction game where you have to build functioning ski lifts to take people up the mountain, along with bridges and ramps for them to use on the way down. Once you’re done building, you can even jump in and control a character as they make their way down the hill. There’s a touch of management sim in here too, as you need to stay within a budget. Will you cut corners to save some cash while making a creaky, super-dangerous structure? Or will you put safety first and risk breaking the bank? There are over 100 levels to play in the campaign, and a sandbox mode awaits for those who just want to mess around with all the toys in this particular box. Is there any story that has been adapted into video games as often as Journey to the West? Well, throw another log on the ol’ fire, friends, because Unruly Heroes is now available on Switch. 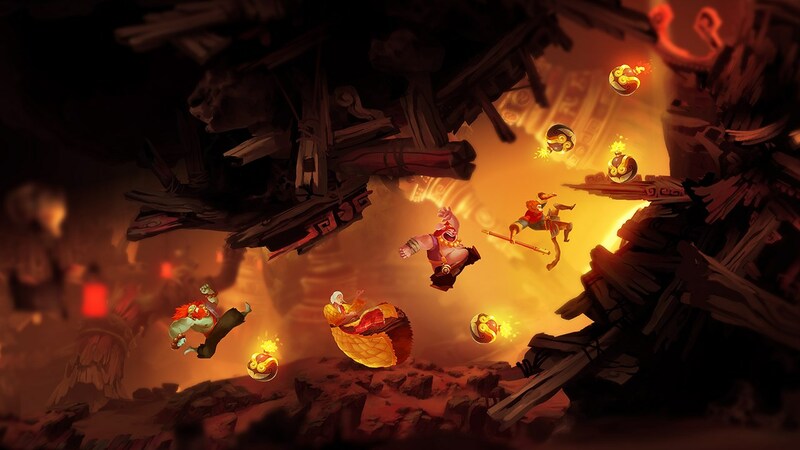 This action-puzzle-platforming romp got favorable reviews in previous releases, and it seems to offer the same raucous multiplayer action in its Switch version. Whether you choose to embark on the journey alone or with friends, this game looks like it should provide a good time for people who enjoy these multi-character puzzle-ish games. Also, it is jaw-droppingly gorgeous, so that’s another point in its favor. 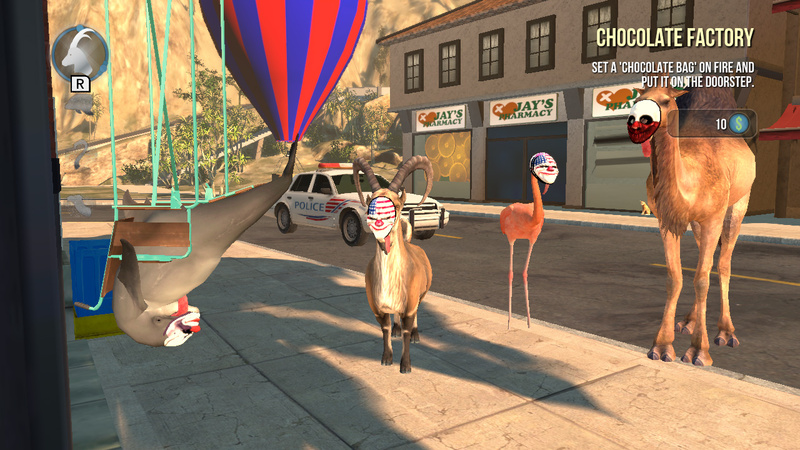 Goat Simulator is stupid, broken, janky, and a ridiculously good time in spite of or perhaps because of all of that. You play as a goat that can and will cause no end of trouble for everyone around, roaming through levels and completing a huge checklist of objectives. This Switch version includes all five of the major Goat Simulator releases in one bundle, enabling you to choose the flavor of goat life you want to experience. There’s vanilla Goat Simulator, the fantasy-themed Goat MMO Simulator, the zombie send-up Goat Simulator: GoatZ, the space adventure Goat Simulator: Waste of Space, and finally the hard-boiled crime drama that is Goat Simulator: Payday. Unless you are a very special sort, you’ll probably get tired of the gimmick and gameplay somewhere around halfway through all of those, so yeah, pretty good package. 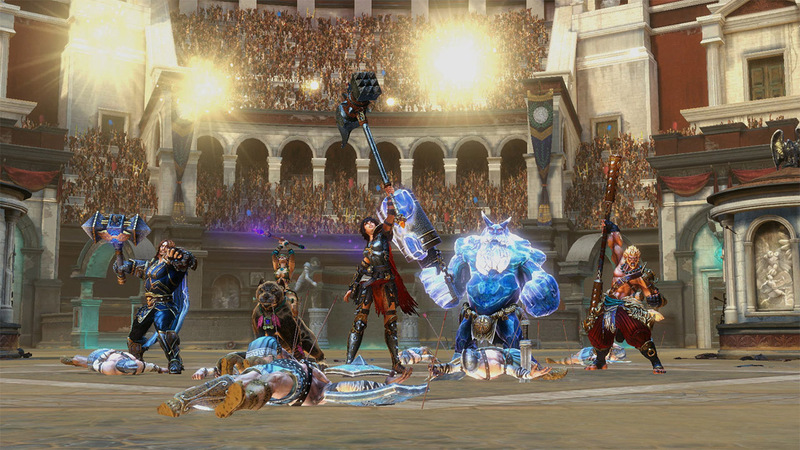 It feels to me like MOBAs have fallen out of the top spot when it comes to ultra-popular multiplayer genres, but there are still plenty of people who like to dip their quills in this particular inkwell, and if they want to do it on Switch, Smite is here for them. So yeah, free to start, there’s a $29.99 Founder’s Pack that includes a bunch of content and currency, and I’d assume more microtransactions will follow. That said, this is a very well-liked MOBA on other platforms, and I can’t imagine it won’t do just as well with Switch players. It’s kind of hard to sum this one up in a little paragraph of text, but this is basically a puzzle adventure sort of game? You wander around a world using your limited abilities to interact with people and things, trying to solve everyone’s problems and set things right after you commit a terrible misdeed. It’s very colorful and slightly introspective at times, and while it’s not going to be everyone’s cup of tea, those with fond memories of similarly-vague classic games will likely enjoy poking at its mysteries. Some of the puzzles are a bit hard to figure out, and not always in the good way, but that’s the nature of the beast with this type of affair. Oh heck, I know a game that is going to try to make me cry when I see it. 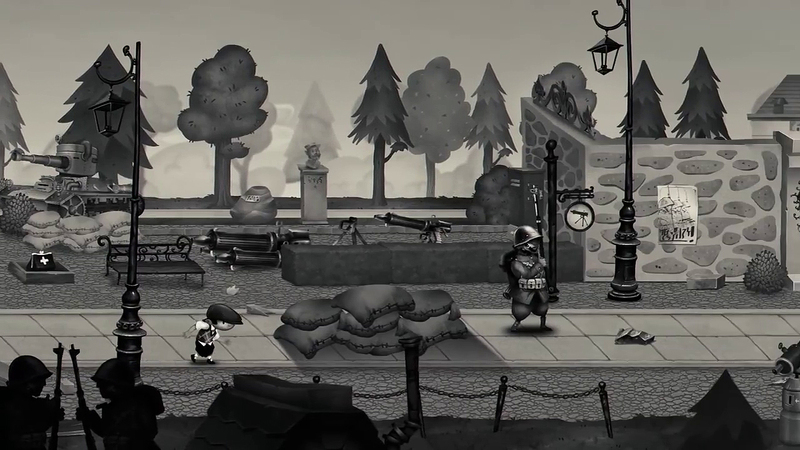 This is apparently inspired by World War 2 and it involves kids, so yeah, good luck with that. This one came out a few months ago on other platforms and the reviews weren’t terrible or particularly good, but hey, with Patrick Stewart narrating you at least know it’s going to sound good. Apparently the puzzles can be a little fiddly and the story doesn’t quite hit what it’s going for as well as some hoped. I don’t know anything first-hand about this one, though. I guess if you get into depressing war stories, you might want to check this out? 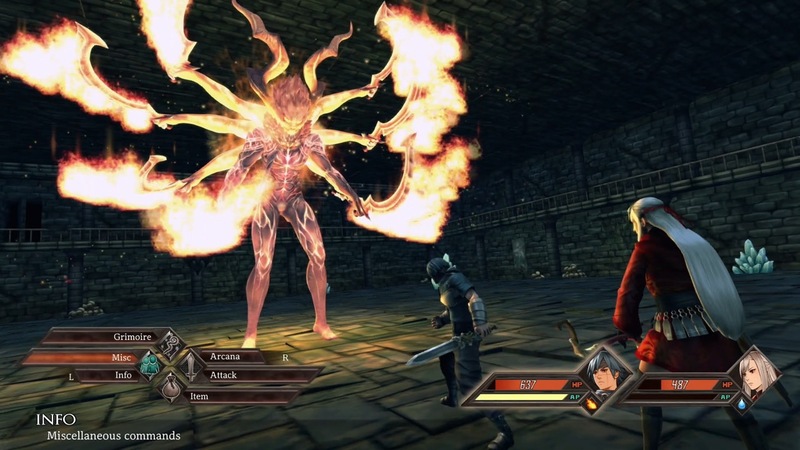 This JRPG-style game came out a while back on PC, and the reviews were just okay. Still, it has a lot of fans, and I’m told it got a lot of good updates post-release to try to address criticisms, so this Switch version may be something worth looking into. I’m probably going to bite on this one and give more detailed impressions down the road, but at the moment all I can say is that it looks pretty good and I like that it’s throwing back to PlayStation/PlayStation 2 JRPG design philosophy rather than the more commonly-visited 8- and 16-bit eras. I’m holding off on recommending it until I put some more time into it myself, though, so stay tuned. I had the chance to play all the way through this one well before its release, so I can tell you just about all you’d need to know about it. It’s a decent exploratory action-platformer. There isn’t as much visual variety as you might like and it feels just a little janky to play. 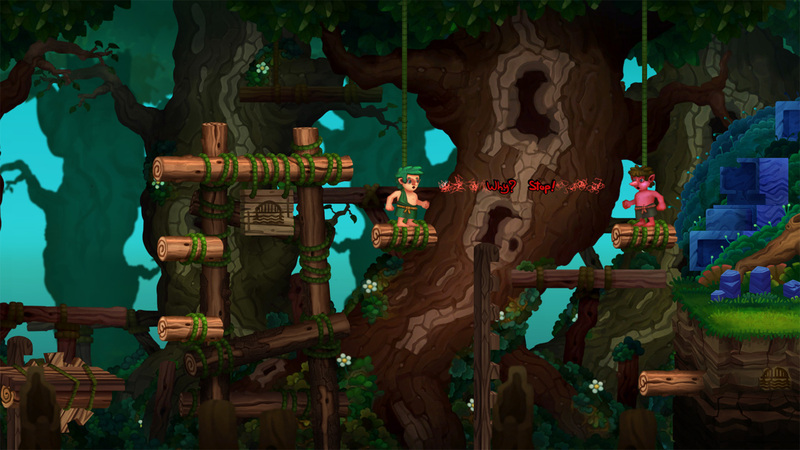 Once you get into the swing of it, JackQuest can be pretty fun to play, but it feels like it ends just as it’s really getting going. It’s not a bad game at all, and I think the price is right, but if you’ve got a little more money in your pocket, you can probably find a lot of better choices in the Metroidvania category on Switch. Unlike a lot of the games that carry the word ‘simulator’ in their title these days, this is actually an honest-to-goodness simulation. The topic is fishing, and with that said, I suspect every person reading knows whether this is going to be their thing or not. Those who are still here are probably wondering if it’s a good fishing game, though. And to that I’ll say: it’s ten bucks, and I suspect you’re going to get what you pay for here. 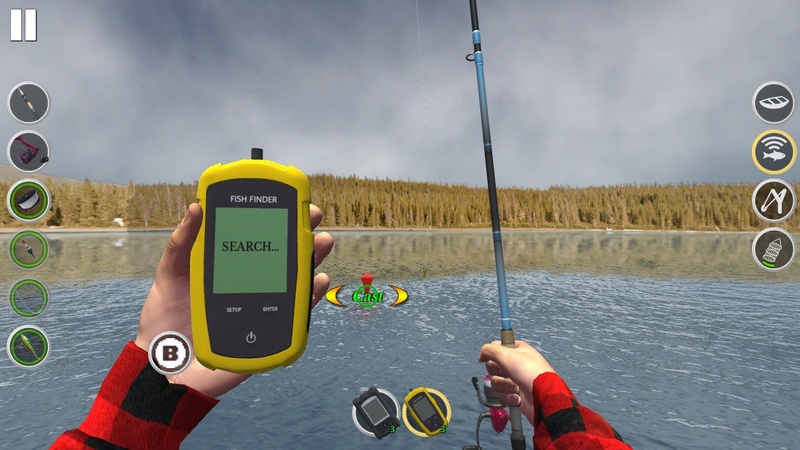 But there aren’t a ton of options for fishing games on the Switch yet, so if you really must cast a line while you’re on the go, this might be good enough for the time being. 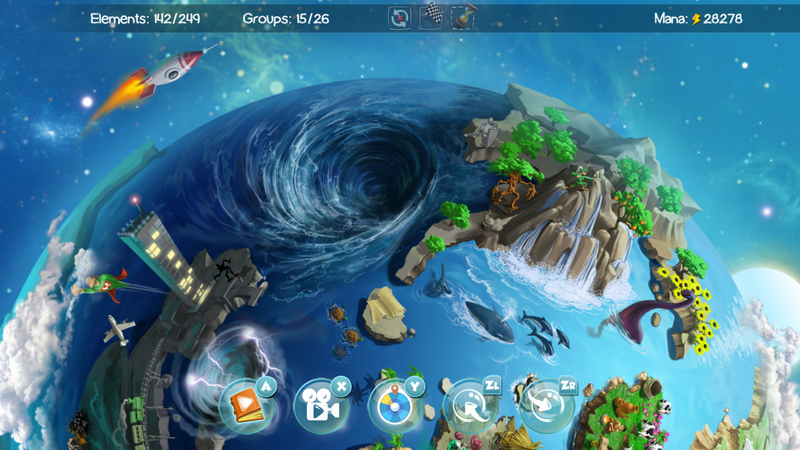 Okay, so mobile gaming fans probably know Doodle God. It’s an okay free-to-play game with simple mechanics that does a decent job of keeping you occupied while waiting in line at the supermarket or whatever. It was brought over to consoles a while ago with the ads stripped out and the energy mechanic removed, and it didn’t go over very well. The game just wasn’t designed to be played on a big TV for hours on end. It’s a little game with repetitive mechanics that is meant to be taken out, played for a few minutes, and put away until later. In that sense, the handheld Switch is probably a better home for Doodle God than, say, the Xbox One. 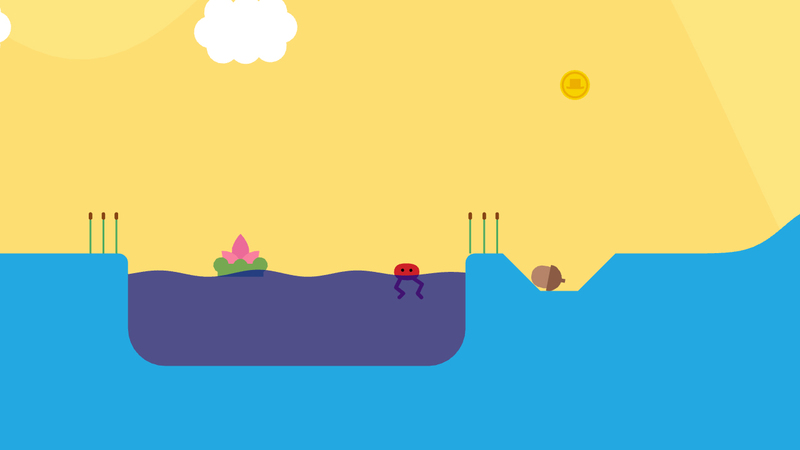 And this version also includes Doodle Farm, so that’s nice. The price is very reasonable. But yeah, I still would refer you to the mobile version if you’re really interested in it. If you’re like me and you’re a little masochistic, then you probably really love Capcom’s Ghosts ‘n Goblins series. 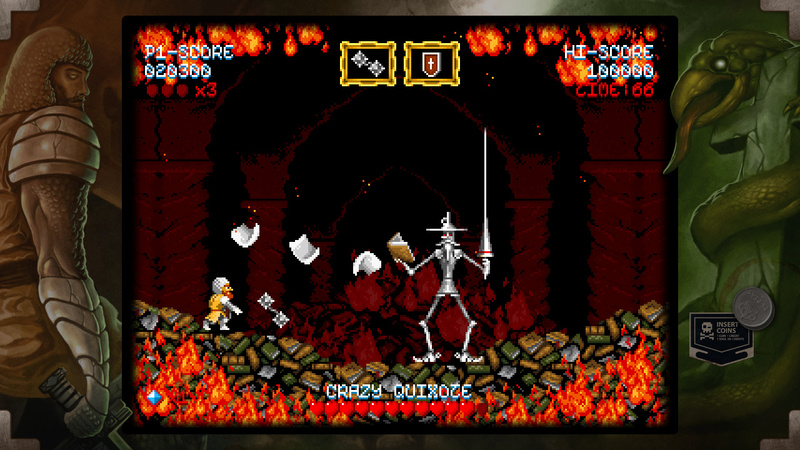 Provided that’s true, you’re going to want to pick up Cursed Castilla. This is a loving ode to Capcom’s classic with just enough differences to make it feel like its own thing. Just barely, mind you. It’s pretty tough, but I think it’s a fairer game than any of the Ghosts ‘n Goblins games, and the bosses are quite a bit better on average. Definitely one to own for anyone who loves 2D action and a good, solid challenge. 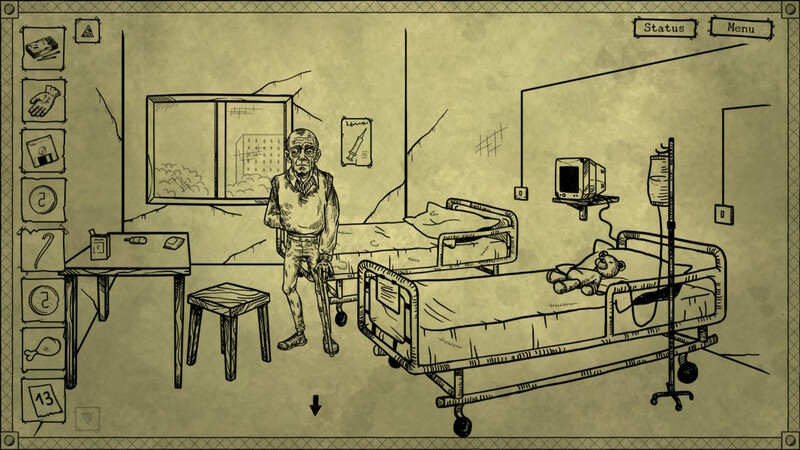 It’s a point-and-click horror game with an unusual art style. Yes, I think we had one of these last week, but this one is a little better. The story in this game can go in a lot of directions depending on your actions, and the puzzles have a few good head-scratchers in their number. There is also a healthy amount of frustrating, hard-to-read puzzle design in here, but hey, that’s the territory, isn’t it? Nothing that will convince those who don’t already like this kind of adventure game, but if you have an affinity for the genre, Bad Dream: Coma certainly has its unique points. This is a decent JRPG by Kemco’s standards, which means you definitely shouldn’t pay more than ten dollars for it. Sorry, I have a weird affection for this company’s games that exceeds that of most people, but even I have to be realistic about it. 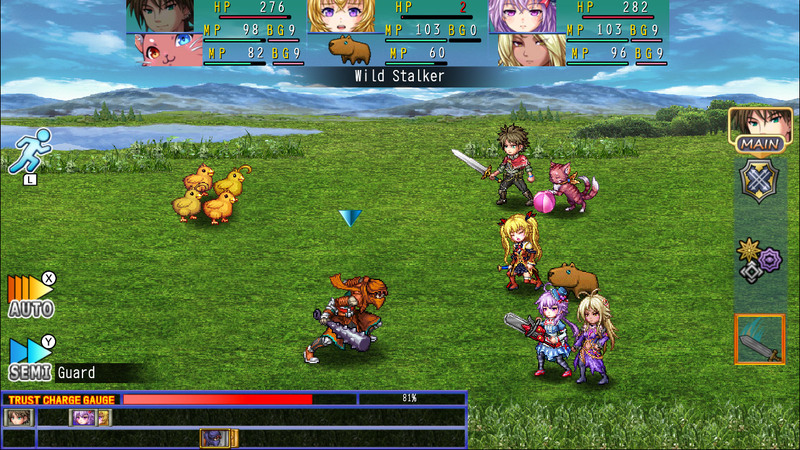 The combat system, some characters, and certainly the tileset are all familiar here. Some appealing aspects from the original Asdivine Hearts, such as its interesting ability equip system, have been changed. I think you could find worse JRPGs, even on the Switch, but I can’t imagine being so hard up for a new game in this genre that you’d need to spend your time with this one. There was a time when Cthulhu-themed games were novel. Even kind of clever. There was a time where tying a flannel shirt around your waist was a pretty cool thing to do. Things change. Anyway, it’s Nazis meets Lovecraftian horror, and whoever wins, we lose, etc. 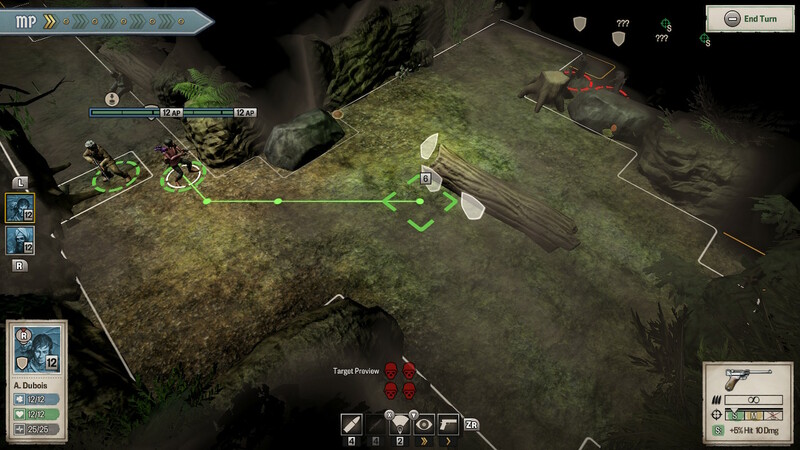 The story doesn’t really go anywhere and the tactical strategy mechanics lack the depth a good game in this genre needs, and the computer opponent isn’t a ton of fun to play against. Add in the fact that the campaign comes in a little short on run-time and not very satisfying all-around, and this is an easy one to skip for all but the most ardent of Lovecraft-loving tactical strategy game fans. As old hat as Lovecraft games are, they’ve got nothing on zombie games. And hey, here’s another one. With a hashtag. How cute. 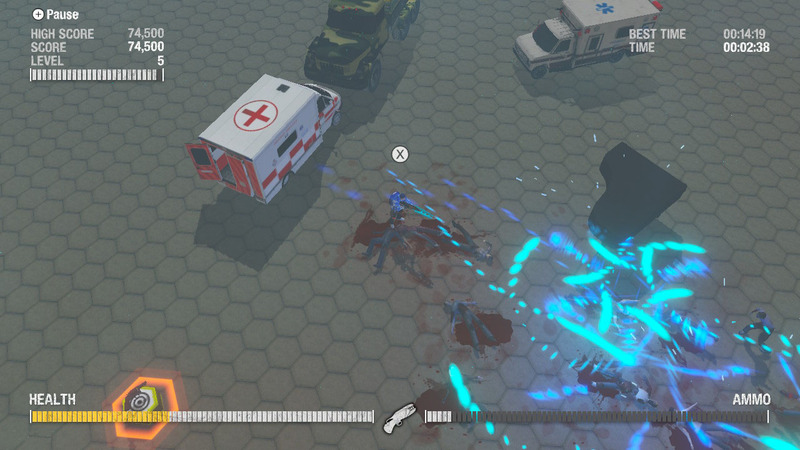 This is a twin-stick shooter whose main gimmick in its PC version is not functional in this one. There, people watching on Twitch could mess around with gameplay events by commenting. That obviously isn’t happening here. So you’re left with a mediocre twin-stick shooter on a platform with plenty of good ones, charging four times the price of its superior PC version. Yeah, no. 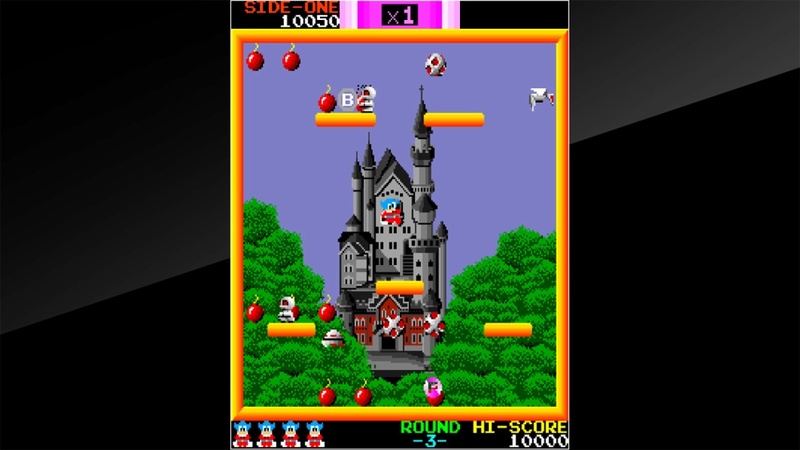 Tecmo’s 1984 arcade game Bomb Jack wasn’t particularly popular or famous, but it is certainly known, if not more for its enhanced NES sequel than anything else. 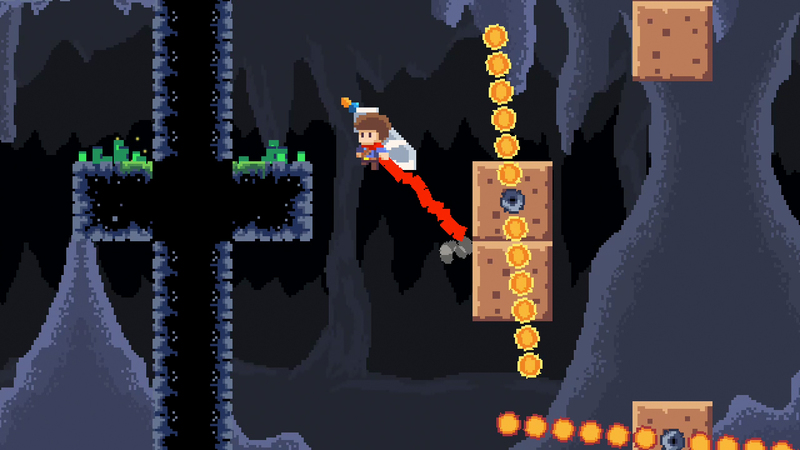 A single-screen action game, Bomb Jack casts you as a hero who can make ridiculous jumps. 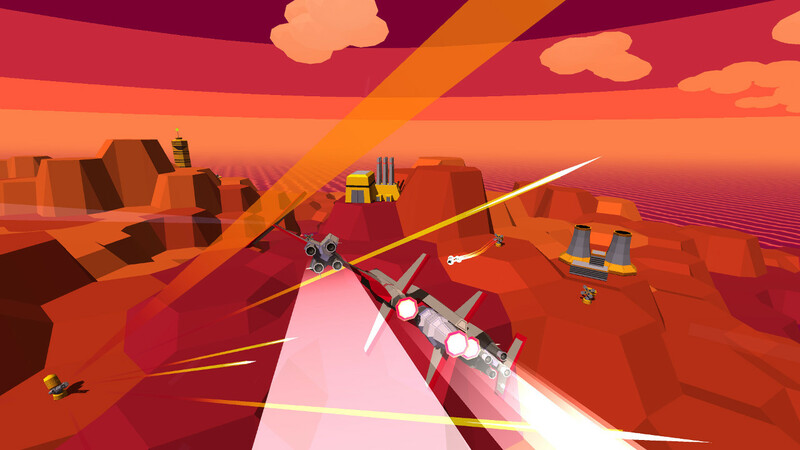 Your goal is to collect all of the bombs on each level while avoiding the enemies. Grab enough bombs and collect the resulting power-up and all the enemies on-screen will turn into coins you can collect for extra points. There are five stages that loop after you beat the fifth, so it’s not exactly rich in content. On the other hand, getting the hang of Jack’s ultra hang-time and harnessing it to your advantage has a certain appeal to it. At least as of the time of this writing, it’s looking like another dry day for sales. 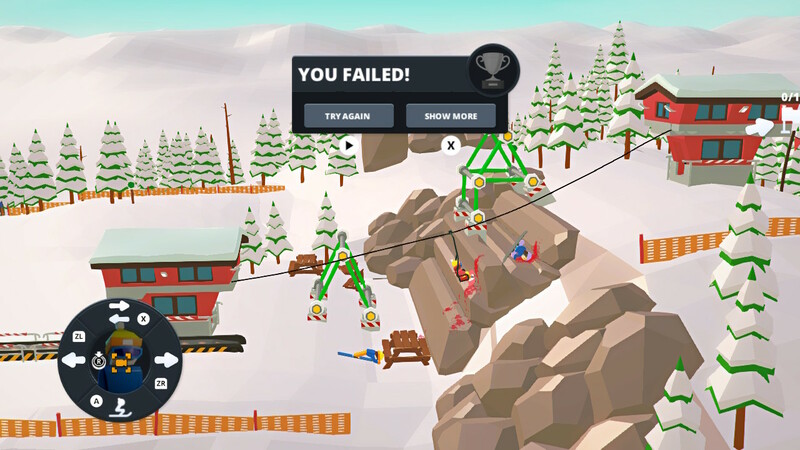 The little discount on new release When Ski Lifts Go Wrong is nice, and Car Quest is certainly something unusual that some people may like. The Path of Motus isn’t out for a couple of weeks, so unless you’re into putting down that pre-order, that’s not super exciting either. Well, that’s how it goes sometimes. That’s about it for today’s SwitchArcade Round-Up. We’ll back tomorrow for the usual Friday work of mopping up whatever games suddenly appear and the few games that are scheduled for release tomorrow, along with news and the new sales. If it all ends up too quiet, I’ll probably muster up some impressions of a new game, but I’d rather spend the weekend with them if I can. Anyway, we’ll see what comes tomorrow. Thanks for reading!